Look for the official Violet Crown Trail portal! 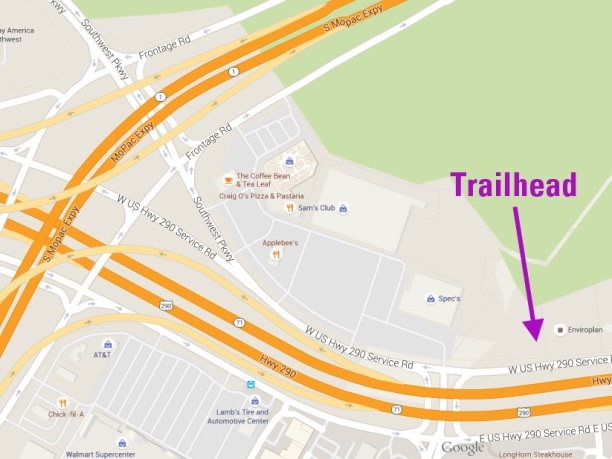 Directions: To access the 290 Trailhead, take I-35 South and merge onto TX-71/US-290 West. Exit toward Texas Loop 1/Brodie Lane. You will pass the 290 Trailhead on your right along the frontage road. There is no parking at the trailhead. Continue to Brodie Lane and turn right into the shopping center. Please be respectful of local businesses and customers and do not park in front of stores. 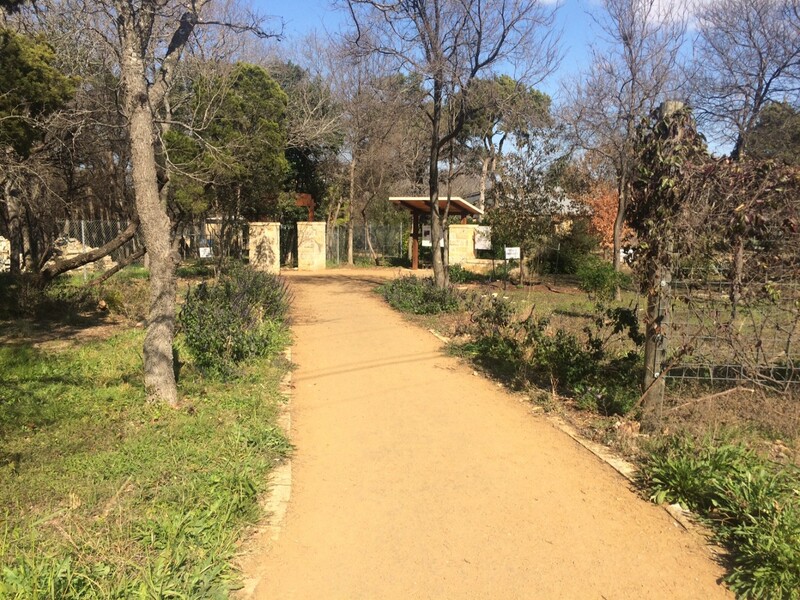 From the intersection of US-290 and Brodie Lane, you can walk to the trailhead by following the granite sidewalk along the US-290 frontage road. Look for the trailhead pictured below.